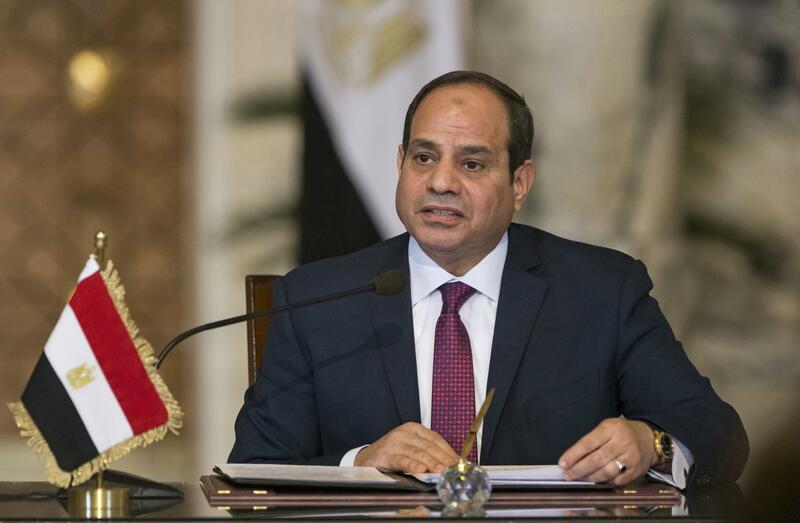 Wed., Feb. 21, 2018, 8:53 a.m.
CAIRO – The Egyptian president declared on Wednesday that his country “scored a goal” by signing a $15 billion deal with an Israeli company to supply natural gas that will help turn Egypt into a regional energy hub. President Abdel Fatah el-Sissi’s televised remarks were the first high-level comments on the deal that fueled controversy on social media. The project “has a lot of advantages for us (Egyptians). And I want people to be reassured,” el-Sissi said. Delek Drilling and its U.S. partner, Noble Energy, signed the agreement on Monday to sell a total of 64 billion cubic meters of gas over a 10-year period to Egyptian company Dolphinus Holdings. The gas is expected to start flowing next year. Yossi Abu, chief executive of Delek Drilling, called the deal “great news” for both countries. He said he expects most of the gas to be used for Egypt’s domestic market, but predicted it could pave the way for wider cooperation and help turn Egypt into an export hub for Israeli gas. “I think that the main thing is that Egypt is becoming the real gas hub of the region,” he said. A report by the European Council on Foreign Relations in April last year said Egypt is the only country in the region that could export gas to Europe independently because of the size of its reserves and its existing export infrastructure. “There are now two options for regional export: to build a pipeline that connects Israel and Cyprus to southern Europe, or to create a network of pipelines into Egypt, from which gas could be liquefied and exported,” it said. Egypt already has extensive natural gas facilities on the Mediterranean but these have stood largely inactive since the country’s 2011 uprising that toppled longtime autocrat Hosni Mubarak. The gas will be delivered from Israel’s Tamar gas field, which is already operational, and the larger “Leviathan” field, which is set to go online in late 2019. Several routes for shipping the gas from Israel to Egypt are under consideration, with an existing pipeline between Jordan and Egypt a strong contender, Abu said. Israel already delivers gas to Jordan. Egypt used to supply Israel with gas but that pipeline was sabotaged repeatedly by Islamist militants in the turbulent northern part of the Sinai Peninsula. Egypt was the first Arab country to make peace with Israel, in 1979, but past economic agreements have been controversial in the Arab world’s most populous country, where popular support for Palestinians runs high. Published: Feb. 21, 2018, 8:53 a.m.